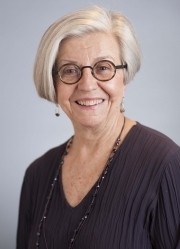 Ms. Jane Quinn joined The Children’s Aid Society executive team in January 2000 and currently serves as the Society’s vice president and director of National Center for Community Schools. On the national level, Quinn’s work focuses on advancing the community schools strategy as a preferred education reform approach. She also provides strategic planning and fundraising expertise to the Society’s local community schools, which are long-term partnerships with the New York City Department of Education. Ms. Quinn came to CAS from the DeWitt Wallace-Reader’s Digest Fund, where she served as Program Director from January 1993 to November 1999, a period during which this national foundation’s sole focus was the education and career development of young people, especially those growing up in low-income communities. Prior to that she directed a national study of youth organizations for the Carnegie Corporation of New York, which resulted in the publication of a book titled A Matter of Time: Risk and Opportunity in the Nonschool Hours. Ms. Quinn served from 1981 to 1990 as director of program services for Girls Clubs of America, a national organization based in New York. In prior years, she held positions in Washington, D.C. at the D.C. Health Department and the Center for Population Options. In addition, she was a caseworker for the Juvenile Protective Association of Chicago, and Family Counseling Center, Catholic Charities of Buffalo, N.Y.
Ms. Quinn received a master’s degree from the University of Chicago School of Social Service Administration and a bachelor’s degree in economics from the College of New Rochelle. She did post-graduate work in nonprofit management at the Columbia School of Business (Institute for Not-for-Profit Management). Ms. Quinn is a frequent contributor to the literature on youth development and community schools. She writes a regular column for Youth Today and co-edited, with Joy Dryfoos and Carol Barkin, a book titled Community Schools in Action: Lessons from a Decade of Practice (Oxford University Press, 2005).